HQ Trivia has been a lot in the news lately and if somehow you have not heard about the popular trivia game, you must have been living under a rock. Recently, the game surpassed a major milestone by registering over 1.6 million players on a single day. The game has become so popular that the makers have recently released an Android version of the game along with a UK specific version. The popularity of the game has caught the eye of Chinese tech giants as we are seeing the release of many Chinese clones of HQ Trivia in the recent days. As you all know, China has a rather restricted internet service which has allowed homegrown me-toos of popular apps to flourish in the country. The biggest example is Weibo which is a Chinese version of Twitter, and now it seems like HQ Trivia is also getting this treatment. 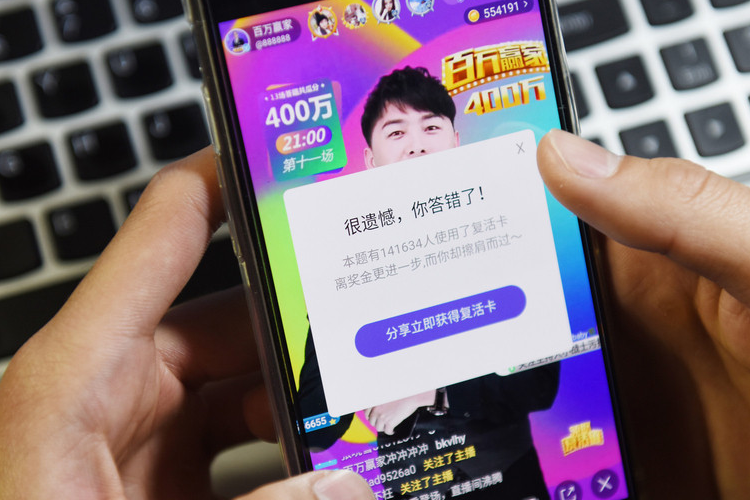 Although app companies are joining the bandwagon, no one really knows whether they will be able to keep the game running for long, without coming under the radar of China’s restrictive internet policies, especially as it involves winnings. The report indicates that at least one of the companies involved, Qihoo, is not certain when it comes to monetization. What is certain is that Chinese players will be able to enjoy the live trivia games and make some real money if they win the game, for the time being. Given it’s popularity, it was only a matter of time before Trivia HQ had to fight off such clones around the world. Though, how long this craze is going to last is not something even the most die-hard HQ Trivia lover can answer.